Sejumlah kapal perang RI (KRI) kelas Parchim eks Jerman, dengan penampilan baru setelah mengalami "repowering", melakukan demonstrasi berbagai manuver dan membentuk sejumlah formasi di perairan Teluk Jakarta, Selasa. Kapal-kapal itu antara lain KRI Imam Bonjol, KRI Teuku Umar, KRI Silas Papare, KRI Sultan Thaha Syaifuddin, KRI Tjiptadi, dan KRI Untung Surapati. Menurut Kasal Laksamana TNI Bernard Kent Sondakh, keenam kapal perang tersebut merupakan sebagian dari 12 kapal sejenis yang mengalami repowering. "Kita memiliki 16 kapal eks Jerman kelas Parchim, yang sekarang sudah direpowering sejumlah 12 kapal, dan sisanya empat kapal lagi masih dalam proses penyelesaian dan diharapkan bulan Juli atau Agustus 2003 sudah selesai direpowering, sehingga tahun depan seluruh kapal itu sudah siap operasi," kata Kasal. Kapal-kapal itu disiapkan dengan biaya hanya sekitar 3 juta dolar AS per kapal, jauh lebih murah dibandingkan dengan pengadaan kapal baru sejenis yang dapat mencapai harga antara 140 - 150 juta dolar AS. Saat ini, TNI AL mempunyai 116 kapal, dan tahun depan akan didispose delapan kapal, sehingga tinggal 108 kapal saja yang beroperasi. Kendati kapal-kapal yang ada itu rata-rata telah berusia 30 tahunan, namun masih bisa dipertahankan beroperasi melalui program Perpanjangan Usia Pakai (PUP) dengan mengganti mesin dan perbaikan badan kapal. Dengan mengeluarkan biaya hanya 48 juta dolar AS, Kasal melanjutkan, TNI AL dapat menyiapkan 16 kapal yang dapat bertahan 15 hingga 20 tahun lagi. "Sementara dengan biaya sebesar itu, satupun kita belum tentu dapat membeli satu kapal korvet sejenis yang baru," tegasnya. Dengan mesin baru dan penampilan KRI yang baru itu, secara psikologis moril anggota TNI AL diharapkan dapat meningkat lagi karena mereka merasa berada di kapal baru. "Semua ini merupakan upaya kita untuk keluar dari keprihatinan. Semua tahu bahwa kapal-kapal eks Jerman ini sudah sekian tahun terbengkalai di dermaga. Moril anak buah sudah turun karena kapal tidak pernah berlayar, sementara awak kapal lainnya terus keluar-masuk pangkalan," tambahnya. Selain enam kapal kelas Parchim itu, demonstrasi serupa juga diperagakan Kapal Cepat Patroli KAL Type-35 yang baru selesai dirancang bangun oleh Dinas Penelitian dan Pengembangan TNI AL (Dislitbangal), dan Fasilitas Pemeliharaan dan Perbaikan (Fasharkan) TNI AL Pondok Dayung. KAL-35 berukuran panjang 35 meter, lebar maksimal 5,75 meter, kecepatan maksimal 22 knot, kecepatan jelajah 15 knot, ABK 15 orang, displacement 91 ton serta dipersenjatai dengan kaliber 20 mm di geladak haluan dan 12,7 mm di geladak atap buritan. Untuk status KAL-35 ini, menurut Kasal, pihaknya sudah mengajukan permohonan kepada Panglima TNI agar kapal ini dapat dijadikan Kapal Perang Republik Indonesia (KRI). "Kapal-kapal type 35-36 ini akan menjadi kekuatan kewilayahan yang akan disebar ke Pangkalan-pangkalan TNI AL. Untuk itu, saya sudah menghimbau para Gubernur dan Bupati yang memiliki wilayah laut untuk turut berpartisispasi dalam pengadaan kapal-kapal patroli ini," demikian Kasal. On 11 October 2002, the Defense Security Cooperation Agency notified Congress of a possible Foreign Military Sale to Australia of RGM-84L Harpoon Missiles as well as associated equipment and services. The total value, if all options are exercised, could be as high as $90 million. 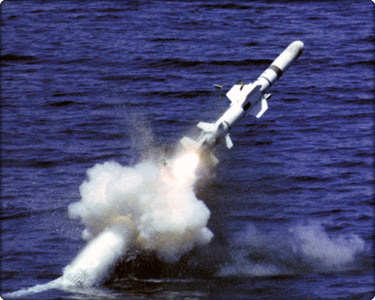 The Government of Australia has requested a possible sale of up to 64 RGM-84L Harpoon Block II missiles, maintenance training and equipment, spare and repair parts, training, shipboard equipment, support and test equipment, publications, U.S. Government and contractor technical assistance and other related elements of logistics support. The estimated cost is $90 million. This proposed sale will contribute to the foreign policy and national security of the United States by helping to improve the security of an ally which has been and continues to be an important force for political stability and economic progress in the Western Pacific region. Australia currently deploys Harpoon missiles on surface ships, submarines and aircraft. Australia will use these additional missiles to augment its present Harpoon missile inventory and enhance its overall military capability. Australia will have no difficulty absorbing these additional Harpoon missiles into its inventory. The prime contractor will be the Boeing Company of St. Louis, Missouri. There are no offset agreements proposed in connection with this potential sale. Implementation of this proposed sale will require the assignment of five contractor engineering technical representatives for one-week intervals to participate in program review and technical reviews to Australia. The Australian government has signed a Contract Change Proposal with ADI for the supply of 299 Bushmaster 4 x 4 infantry mobility vehicles (IMVs) for the Australian Defence Force. First deliveries of series-produced Bushmasters will take place in late 2003, with final deliveries planned for 2007. Final contract signature has been placed by the Australian Department of Defence with state-owned defence manufacturer ADI forthe supply of 370 Infantry Mobility Vehicles (IMVs) for theAustralian Army, a contract worth A$180 million ($118 million). The deal was closed on 1 June and delivery of the first production Bushmaster mine-protected, armoured IMV is planned for December 2000. ADI was selected as preferred bidder for the IMV contract in March and the first prototype is expected to be delivered by the end of this year with another five to follow next year. Full-scale production should start early in 2001, when it is expected that two vehicles will be produced weekly at ADI's Bendigo plant in Southern Australian (Jane's Defence Weekly, 17 March). ADI managing director Ken Harris said the company placed a lot of faith in the Bushmaster and believed it would appeal to othercountries. "Bushmaster's success against international competition has given credibility to both its capabilities and ADI's ability to design, develop, test and manufacture vehicles requiring superiorland-mine and ballistic protection," Harris said. Evaluation of the competing vehicles took place in the varied conditions of Australia's northern dry and sandy desert region, and the snow and ice of southeastern alpine regions. The contract placement is a major step forward for ADI's militaryand specialist vehicles division, which was established in the early1990s. Virtually all of the vehicle except the drive line will be manufactured in Australia.The contract signature follows an A$8-million contract placed by the Australian Army with ADI for 27 high-speed engineering vehicles. The Republic of Singapore Navy (RSN) successfully fired Barak anti-missile missiles in the South China Sea yesterday. 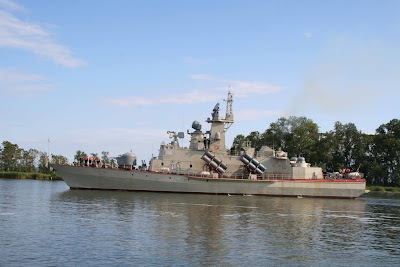 They were fired by the RSN Missile Corvette RSS VALIANT on targets simulating missiles attacking the ship. The missile firings were part of a combined gunnery and missile firing exercise in this year’s Exercise CARAT between the RSN and the United States Navy (USN). Present at the firing were Minister for Education and Second Minister for Defence Rear-Admiral (NS) Teo Chee Hean, Minister of State for Defence Mr Cedric Foo, and senior SAF and US officers. The good relations between the Singapore Armed Forces (SAF) and the Indonesian National Defence Force (TNI) continue to fly high, with the official transfer of six SF-260 trainer aircraft from the Republic of Singapore Air Force (RSAF) to the Indonesian Air Force (TNI-AU), on 5 Jul. The RSAF plans to transfer 19 SF-260 aircraft in all; the remaining 13 planes will be delivered to Indonesia by the end of the year. The RSAF has also delivered related ground tools and spares required for the operation and maintenance of the SF-260 fleet to the TNI-AU. Before this, the 19 aircraft were restored to airworthy and good flyable condition. 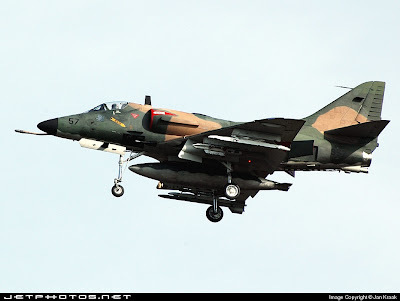 The RSAF also provided training for six TNI-AU pilots and 10 maintenance personnel. Another 10 Indonesian maintenance personnel will be trained before the transfer of the final batch of aircraft. Since last year, both sides have been working closely for a successful transfer, reflecting their strong and long-standing ties. Malaysia signed nearly $400 million worth of contracts with European and Russian firms Wednesday to buy air defense missile systems to boost its army. Defense Ministry Secretary General Hashim Meon signed a $315.48 million deal with British-based MBDA on the purchase of an unspecified number of the Jernas enhanced short-range air defense system. MBDA is a consortium of Matra BAe Dynamics in Britain, Aerospatiale Matra Missiles in France and Alenia Marconi Systems in Italy. The three companies merged last December into a single entity. Hashim later signed another deal worth $48 million with Russia's Rosoboronexport to purchase its IGLA short-range air defense system. 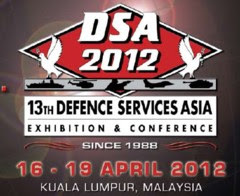 The signing ceremony was witnessed by British Minister for Defense Procurement Lord Bach and Malaysian Defense Minister Najib Abdul Razak. 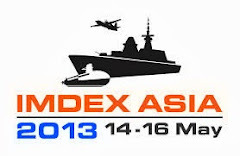 It was conducted on the sidelines of the biennial Defense Services Asia exhibition and conference, billed Asia's biggest defense show. ''This program benefits both nations and the U.K. is committed to a long-term partnership with Malaysia,'' Bach said. 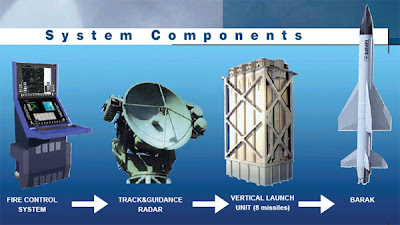 The air defense system Malaysia bought includes the Jernas missile launchers, surveillance radar, tracking radar, missiles and a comprehensive training and support package. The procurement also involves technology transfer programs, which may see the design and manufacture of a key Jernas sub-system in Malaysia. Malaysia has been embarking on a shopping spree now that its economy has recovered from the 1997 financial crisis. The ensuing recession derailed the country's aim of modernizing its military. On Tuesday, the government concluded some $80 million worth of contracts to buy mobile military bridges and rifles. Other items on the shopping list include fighter jets, tanks and submarines. Last month Malaysia announced it would purchase about 70 PT-91 tanks from Poland, estimated to cost a total of around $300 million. Malaysia is also looking into acquiring either the Russian Sukhoi SU-30 fighter jet or the U.S. Super Hornet F-18 produced by Boeing to beef up its existing fleet of MiG-29s and basic F-18s. It is also in talks with France's state-owned naval shipbuilding company DCN International to acquire submarine capabilities. Industry sources said the two parties signed a letter of agreement last month and are finalizing the details. Najib declined to confirm the matter. DCN Executive Vice President Henri de Bronac said only that the talks are progressing toward a final point. Malaysia's latest round of aggressive buying has renewed speculation that it is trying to match its neighbor Singapore's military prowess. ''We are not competing. We are doing it our way. It's part of our modernization program,'' he said. Malaysia's submarine ambitions involve plans to buy the old French Agosta 70 submarine, which would be overhauled and used for training purposes. Later, the country would buy two new Scorpene-class submarines. The deal is estimated to be worth about $1.05 billion. According to British-based Jane's Defense Weekly, the deal has been on hold pending an agreement on landing slots for Malaysia's national air carrier, Malaysia Airlines System (MAS), in Paris. ''I know there is some discussion on that but we are not handling that part,'' Bronac said. MAS is apparently looking at increasing its flights to Paris from three to five a week. Myanmar is seeking to obtain the R-27 (NATO reporting name: A-10 'Alamo') medium- to long-range, infra-red and radar-guided air-to-air missile for 10 MiG-29 ('Fulcrum') interceptor/ground-attack fighters ordered last year. The initiative is likely to cause tremors in neighbouring countries and the USA. The 'Alamo' is produced in six variants with differing guidance systems and ranges. While the US Department of Defense declined to comment, a US State Department official said the USA continues to impose a ban on weapons sales to Myanmar due to that country's "dismal" human rights record and supports other countries that have similar prohibitions. The official noted that the US government voiced its concerns to the Russian government at the time of the MiG-29 sale. "Obviously, if we are concerned about the aircraft themselves, we would be concerned about any associated systems" like the missiles, the official added. Chief of Staff of the Indonesian Navy (TNI-AL) Admiral Indroko Sastrowiryono and Singapore’s Chief of Navy Rear-Admiral Lui Tuck Yew jointly officiated at the transfer of the Republic of Singapore Navy (RSN) ship, decommissioned RSS JUPITER, to the TNI-AL in Tanjong Priok today. The RSS JUPITER is designed to provide support for diving operations, and underwater search and salvage missions. It was decommissioned in September last year, having served the RSN since August 1991. 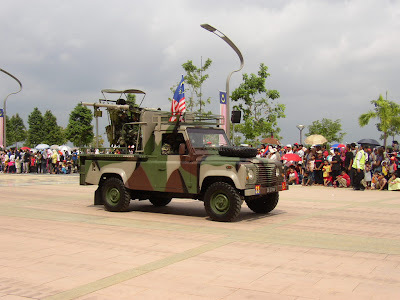 Malaysia expects to receive later this year anti-tank and manportable air-defence systems ordered from Pakistan to equip the Royal Malaysian Army (RMA) special forces. The contract has an overall value of some RM80 million ($21.3 million). 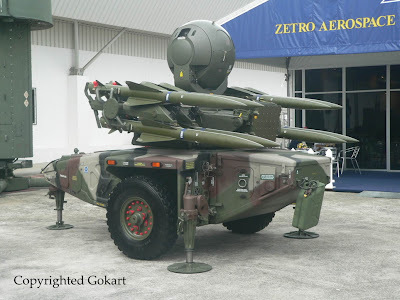 This includes RM30.8 million for a quantity of Baktar Shikan anti-tank missile weapon systems and RM48.6 million for a quantity of Anza Mk II shoulder-launched low-altitude surface-to-air missile (SAM) systems. TEMPO Interaktif, Jakarta:Kepala Staf Angkatan Laut Laksamana Bernard Kent Sondakh mengungkapkan Korps Marinir TNI AL telah membeli 12 Panser Amfibi BTR 80 A. Panser sebanyak 12 buah itu merupakan senjata baru yang dibeli dengan harga US$ 4,5 juta. “Saya tidak pernah mau beli barang bekas,” kata Sondakh kepada wartawan usai peringatan HUT Korps Marinir ke-57 dan serah terima jabatan Komandan Korps Marinir di Markas Kesatriaan Marinir, Cilandak, Jakarta, Jumat (15/11/). Menurut Sondakh, pembelian 12 panser Amphibi buatan Rusia ini direncanakan sejak dirinya menjabat sebagai Asisten Perencanaan pada tahun 2000. Dananya diambil dari kredit impor dengan harga per buah US$ 550 ribu. Kent menambahkan pembelian ini juga mutlak diperlukan karena banyak persenjataan Marinir yang sudah tua. Dia berharap dengan pembelian senjata itu kemampuan pasukan dan profesionalisme TNI AL dapat ditingkatkan. 12 Panser Amphibi sebagai kendaraan tempur mampu digunakan secara efektif di berbagai medan dan beragam iklim. Panser beroda delapan ini memiliki fungsi serba guna dalam sebuah operasi tempur. Cocok untuk pengintaian dan patroli. Sondakh mengungkapkan, Marinir kini sedang melakukan kontrak pemesanan dengan membeli empat buah roket multilaras (40 laras), yang diharapkan akan datang Maret 2003 mendatang. Selain membeli 12 tank panser, dan memesan peluncur roket multilaras, TNI AL juga akan memperkuat pasukan dengan 16 helikopter dan kendaraan taktis lainnya. “Diharapkan semuanya tahun depan akan selesai. Anggaran tahun depan akan diprioritaskan untuk senjata mesin dan senjata serbu,” kata dia. Disinggung mengenai perbaikan kapal perang eks Jerman Timur, KSAL mengatakan, 8 dari 16 kapal perang tersebut telah selesai perbaikan dan pengecatan. April 2003, semuanya diperkirakan selesai. 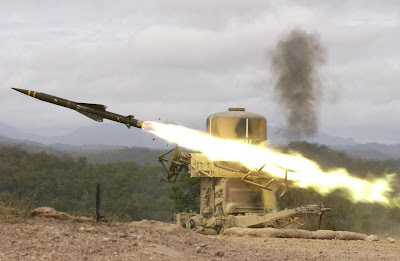 BAE Systems Customer Solutions and Support has completed the refurbishment of the first of 20 Rapier ground-based air defence missile systems for the Australian Army. The on-time delivery of the refurbished system is the first contract milestone and completes the pilot program for the LAND 140 project. The refurbishment was conducted by the company's Australian Product Support Group and will extend the life of the Rapier system for the Australian Defence Force (ADF). This will allow the ADF to maintain this important air defence capability, at an improved performance standard, while it considers a future air defence system, planned under JP117. The refurbished Rapier system will provide improved supportability and operability for the life of the equipment in Australian service. The systems have also been upgraded to B1M standard, equivalent to those systems in service with other key user countries. The project has a through-life support element to 2006 with the first eight systems due into service in mid-2002. "The refurbishment is a sensible upgrade for Australia that brings the system to a standard equivalent to key user customers around the world," said Mike Brownhill, Operations Director, BAE Systems Customer Solutions and Support. "We have exceeded our own expectations and those of the customer." BAE Systems has supported the Rapier System for more than 20 years. It has worked closely with Matra BAe Dynamics, the Rapier design authority, and the Australian Army on a guided weapons strategy that led to the development of LAND 140. The Royal Malaysian Navy (RMN) Patrol Vessel (PV) programme finally transitioned from paper to steel in June this year when the first metal for PV1 was cut at the Hamburg yard of Blohm + Voss. This event, initiated by head of the resident RMN Project Team Capt Amzah bin Sulaiman, marked the opening of another chapter in the already protracted history of the New Generation Patrol Vessel (NGPV) project, first instituted a decade ago. Rarely in recent memory has a single naval procurement activity generated so much commercial jockeying and frenzied marketing, further coloured by the unavoidable entanglements of both domestic and international politics, and punctuated by a major regional economic crisis. For much of the last decade, warship builders and combat system suppliers worldwide saw the putative requirement for up to 27 offshore patrol vessels (OPVs) - an initial batch of six, to be followed by three further batches of seven over a 15-year period - as a prestigious prize. Such a contract would secure important long-term business and establish a firm foothold from which to further penetrate the Malaysian market. At the same time, the Malaysian government assiduously offered the NGPV programme to all comers to encourage inward investment and technology transfer, and to build up its domestic industrial capability under the Vision 2020 initiative. A test programme comprising around 35 flights of a manned/unmanned Airborne Reconnaissance Vehicle (ARV) for the Malaysian Ministry of Defence has been completed, according to programme officials. 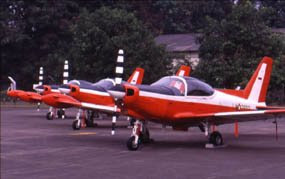 Three Eagle 150B two-seat aircraft will be modified for the ARV role under a $8.5 million contract awarded to Composites Technology Research Malaysia of Kuala Lumpur. The aircraft's avionics equipment and ground-control station is provided by BAE Systems Controls. 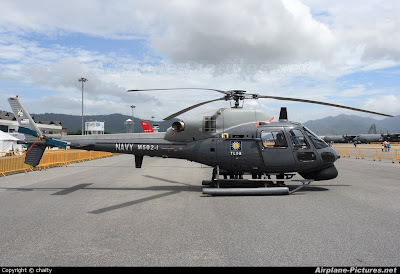 The Royal Malaysian Navy (RMN) has awarded Eurocopter a E42 million ($38 million) contract to deliver six AS 555 SN Fennec unarmed twin-turbine helicopters in late 2003 for training and over-the-horizon targeting. Signed during the LIMA (Langkawi International Maritime and Aerospace) 2001 exhibition, the order is intended to complement the six AgustaWestland Super Lynx 300s that will be delivered to the RMN from April 2003. In a further development, Matra BAe Dynamics received a contract during the exhibition to arm the RMN's Super Lynx aircraft with the company's Sea Skua air-launched anti-ship missile. Company and service officials declined to provide details of the number of missiles to be acquired or the total cost. The Malaysian navy has ordered Matra BAe Dynamics Sea Skua antiship missiles to equip six AgustaWestland Super Lynx helicopters it has on order. The navy is meanwhile set to sign a firm contract for six Eurocopter AS555N helicopters to train pilots to operate the Lynxs and is moving forward with plans to acquire more helicopters to equip up to 27 patrol vessels. AgustaWestland also hopes to overturn the selection of the AS555N by the Malaysian army for its light observation/scout helicopter requirement. The Lynxs, due to be delivered from 2003, will be retrofitted with Sea Skua. It is understood that an initial 10 of the sea skimming missiles - a Lynx can carry up to four - are being procured initially. MBD declines to comment. Malaysia is also formulating its requirement for helicopters to equip the patrol vessels and is thought to be aiming for a final selection within 12 months, to allow deliveries by 2004. Contenders may include the Kaman SH-2G Super Seasprite, Sikorsky S-70 Seahawk, Super Lynx, NH Industries NH90 and Eurocopter Cougar. Malaysia was due for six naval AS555Ns on 13 October during a visit to LIMA 2001 by the French defence minister. Deliveries are set to start in two years' time. AgustaWestland Asia area sales director Fulvio Maurogiovanni says the manufacturer has received a letter of intent from Malaysia for a pair of A109 Power helicopters for fire-fighting and search and rescue missions. Contract negotiations are due to get underway shortly. Maurogiovanni believes the manufacturer has a good chance of overturning the army's AS555N selection because the A109 is "100% in compliance with the mission requirement". He adds : "I expect them to re-open discussions." Eurocopter admits there are "some issues" to be resolved in its negotiations with the army regarding the performance of the AS555N in the envisaged role. 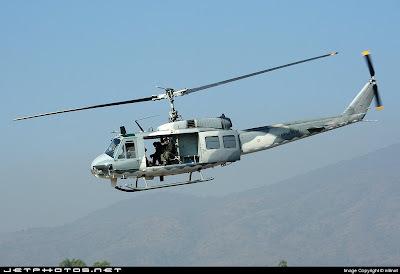 The Royal Thai Army (RTA) is revamping its helicopter fleet with the acquisition from US Excess Defence Article (EDA) stocks of 30 refurbished Bell UH-1H Iroquois utility and, most likely, six Bell AH-1 Cobra attack helicopters. The aircraft are being obtained free of cost and the RTA should not need to invest funds in ensuring flight worthiness, as they are being drawn directly from active US inventories. However, Bangkok will pay about $1 million per aircraft for refurbishment and transport for a total price of about $37.5 million. Deliveries are due to start in late 2002 or early 2003, with completion likely within a further 18 months. Malaysia has placed an order for an undisclosed quantity of Metis-2 anti-tank guided weapon (ATGW) systems following a regular meeting of the joint Russian-Malaysian inter-governmental commission on economic co-operation, according to Jane's Defence Weekly sources in Moscow. The Metis-2 is the latest version of the system that was originally developed to meet the requirements of the Soviet Army by the KBP Instrument Design Bureau. In need of dramatic results in its war against the extremists, the Armed Forces are banking on technology to help them out. To the rescue: an Israeli unmanned aerial vehicle (UAV) that can see through foliage and buildings - and pinpoint location of hostile forces. Within the month, Newsbreak learned from military sources, the Philippines is expected to get its first UAV and will be deployed to Basilan. Details of this major acquisition, involving a low of two million dollars to a high of 12 million dollars, are under wraps because it is considered an intelligence operation. Few people know about the project. These include President Gloria Macapagal-Arroyo, her Armed Forces chief of staff, deputy chief of staff, a few in the Armed Forces General Headquarters, and the top brass of the Department of National Defense. Some in the Armed Forces question the absence of transparency in the negotiation. If it pushes through, this will be one of the most expensive purchases by the military. The Armed Forces acknowledge they need a UAV. But the deal, some say, should pass through rigorous bidding. Newsbreak sought an interview with Defense Secretary Angelo Reyes but he declined. Armed Forces deputy chief of staff Maj. Gen. Roy Cimatu gave written responses but did not directly answer Newsbreak's questions. Blue Horizon, the name of the UAV model to be acquired, is manufactured by Singapore Technologies, under contract with Emit Aviation Consultancy of Israel. 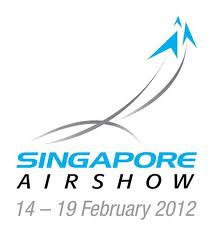 Singapore Technologies is a multinational corporation, engaged in, among others, the manufacture of military hardware. 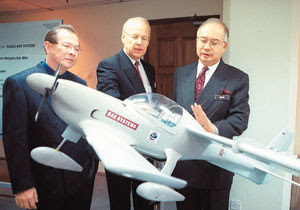 Jane's Defence Weekly reported in December 1998: "In a drive to exploit a domestic requirement for UAVs, Singapore Technologies has signed a 14-million-dollar contract with Emit Aviation Consultancy (EAC) for the new Blue Horizon UAV." EAC is a UAV manufacturer. Equipped with infrared, Blue Horizon can see people in jungles and enclosed places even at night. Data from the Internet describe it as a "small, lightweight UAV, powered by a twin-cylinder piston engine. It is capable of carrying out 'penetrator' missions by operating at low speed and low altitude." Israel is a pioneer in UAV technology. Together with the US, it is an acknowledged leader in the field. In Southeast Asia, Singapore and Thailand are known to have UAVs. The Blue Horizon can fly at 2,000 feet, with an endurance of four hours, covering a radius of 50 kilometers. It delivers real-time information to a monitoring center on the ground. Immediately, ground troops can be sent to the area where targets are located. A UAV can't say whether forces are friendly or hostile. It merely determines where, for example, a group of people are in isolated areas, either mobile or stationary. The UAV will go on test missions in Basilan as part of the company's product demonstration. Initially, it will be operated by experts from the company. Armed Forces personnel, specifically from the Army and intelligence units, will be trained to use it. Training may take about two weeks. Although the Armed Forces list UAVs in their modernization wish list, this first acquisition is not part of it. The Blue Horizon project did not go through competitive bidding as required by the rules. Only when there is a single manufacturer could government enter into a negotiated contract. There are about close to a hundred UAV manufacturers in the world. Cimatu, who chairs the bids and awards committee of the Armed Forces modernization program, said the Armed Forces were "seriously evaluating" buying a UAV. But he did not confirm the Blue Horizon deal. Newsbreak checked with Brig. Gen. Cesar P. Garcia Jr, director general of the National Intelligence Coordinating Agency, and he was unaware of the deal. But he said the UAV WAs long overdue: "We needed that two years ago." He said the acquisition of such equipment should go through public bidding. Currently deployed in Basilan is the counter-terrorist force of the Army, the 45-man Light Reaction Company. This is the first time the Army has formed such an elite unit, trained and armed by the US military. The UAV is expected to complement their operations. The UAV, said Maj. Gen. Dionision Santiago, former commander of the Special Operations Command, under whose watch the LRC was born, is "good in tandem with combat forces". The LRC falls under the Special Operations Command of the Army. Santiago, too, is unaware of the arrival of Blue Horizon. The Philippine Army has developed its own UAV, still unnamed, and will be ready for use in a month. Compared with Blue Horizon, the homegrown UAV has less endurance (two hours flying time) and a smaller radius (20 kilometers) and is much cheaper at 3.5 million pesos (about 66 million pesos). It took the Army five years to see the project through, from research to construction. Col. Ricardo Morales, who thought up the idea of building a UAV for the Army, was not consulted about the plan to purchase the Israeli equipment. "Our team has studied various UAV systems all over the world," Morales, who heads the Army Modernization and Strategic Studies Office, says, "Some elements must coincide for the operation to be successful." Russian sources report that RSK-MiG has signed a $130 million contract for 10 MiG-29s for the Myanmar air force, ending a two-year drought in export orders. The price is extremely low - eight aircraft were delivered to Bangladesh in 1999 for $15 million each, and Eritrea's six aircraft cost a reported $8 million each - and 30% of the contract value is to be paid in advance with the rest being paid in installments over 10 years. The aircraft were manufactured at the beginning of the 1990s, for the Russian air forces, who were unable to pay for them. They have been in store at MiG's Lukhovitsky factory airfield ever since. The cut-price sale will provide much-needed funds for the development of the company's MiG-29 upgrade programmes. Last year was a particularly bad one for the Design Bureau, which earned $100 million from exports, with virtually nothing from state orders. 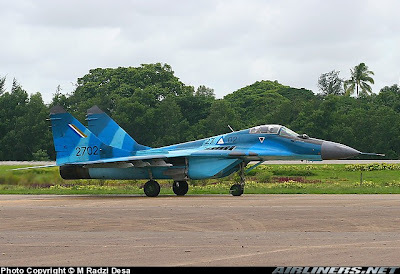 MiG hopes that the Myanmar order may augur in a new round of orders, and while the company recognises that the Cold War era of massive domestic sales has gone forever feels that it can match its successes in 1995, when 36 MiG-29 exports earned the company $1 billion. Bangladesh is reportedly on the verge of placing an order for a further 16 MiG-29s. Singapore is due to receive the last of four ex-Swedish Sjoormen (A 12)-class submarines by year-end after the vessel, RSS Chieftain, completes refurbishing following its relaunch. Myanmar has obtained through international dealers at least 100 Igla-1E (SA-16 'Gimlet') low-altitude surface-to-air missile systems, according to Bangkok-based intelligence sources. 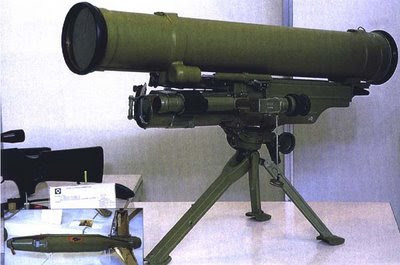 The Igla-1E acquired by Myanmar is manufactured in Bulgaria by Vazovski Machinostroitelni Zavodi, which is based in Sopot. 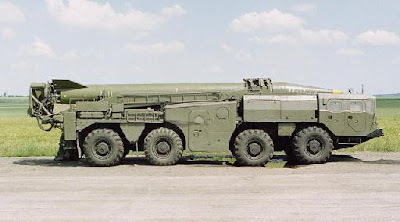 It is a licensed version of the improved second-generation Kolomna KBM Igla-1E, a variant of the Russian-designed Igla-1. The Igla-1E uses a passive infrared seeker. It can engage targets to a maximum range of 5,200m and altitude of 11,500ft, or minimum range of 500m and altitude of 33ft. The two-stage system weighs 16.65kg in the firing position. The missiles were obtained in mid-1998, but the contract has only now been confirmed. They were trans-shipped through Thailand, together with small arms and related material such as mortar fuzes and rocket-propelled grenade fuzes. It is not known whether the Bulgarian supplier was aware of the shipment's ultimate destination. The dealers who brokered the sale are not based in Thailand, but have previously used the country to cloak their activities. Myanmar's air-defence capability has so far been mainly based on anti-aircraft artillery systems, with guns ranging from 20mm to 94mm. 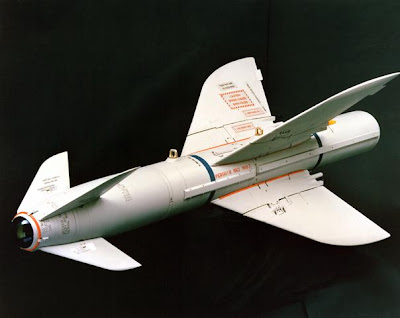 It may have obtained the BAe Dynamics Bloodhound Mk II surface-to-air missile system from Singapore in 1994, after this was phased out of the inventory there; and could have about 60 HN-5A manportable missile systems acquired from China in 1990, although these have never been seen by reliable observers. Regardless of whether the Bloodhound and HN-5A are operationally deployed by Yangon, acquisition of the Igla-1E is a significant improvement to its air-defence capabilities. Laos and Russia signed a defence co-operation pact in July 1997. The Laotian air force received 12 Mi-17s in 1998-1999. Laos also acquired six Ka-32T Helix transports, the first of which was delivered in June 2000. Also in 1998-1999, Indian manufacturer HAL was awarded a maintenance deal for 29 MiG-21s, but this collapsed once it was evident the MiG-21’s structural life had expired. The transport aircraft are operated jointly with the national airline, Lao Aviation, which also has Chinese-built Y-12 (II)s and Y-7s. THE army has bought military hardware worth M$977.36 million (US$257.2 million) from South Africa and Brazil, including 22 155mm G5 medium-range artillery guns from the former. The contract for the medium-range guns costing RM185.44 million was signed on Wednesday while the deal for the purchase of 18 Brazilian-made Astros II multiple launch rocket system (MLRS) was signed on Friday. The signing of both contracts came after months of evaluation by the armed forces from a host of other offers. The army's modernisation programme took a back seat in the 1990s when the Royal Malaysian Air Force and Royal Malaysian Navy took a large chunk of the budget. 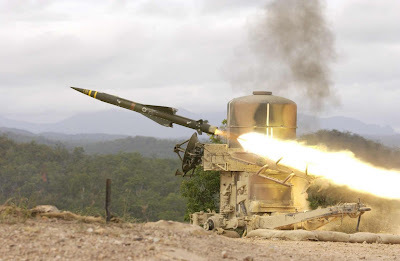 In announcing this recently, Deputy Defence Minister Datuk Shafie Apdal said the entire package of the MLRS would be delivered within the next 20 months, while the G5 artillery guns would be delivered in stages, with the first batch expected within the next 12 months. He said the purchase was part of the ongoing process to modernise the armed forces. "As our military procurement exercise was shelved during the economic downturn in the 1990s, we feel that the time now is right to commence with this exercise." He said this after holding a discussion with New Zealand air force chief Air Vice-Marshall D.M. Hamilton at his office in Wisma Pertahanan. Hamilton, on his first visit to the ministry, also called on air force chief Jen Tan Sri Ahmad Saruji Che Rose. Capable of achieving a maximum range of 90km, the four-tube truck-mounted Astros II MLRS is currently in operation in Brazil, Croatia, Iraq, Libya, Qatar and Saudi Arabia. The system, to be used by the air artillery unit, has three types of warheads: high explosive incendiary, anti-personnel and anti-material mine deployment, and airfield denial munitions capable of penetrating up to 400mm of reinforced concrete. 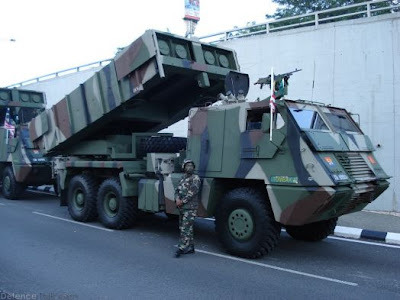 With the purchase, Malaysia becomes only the second Southeast Asian country to operate an MLRS system, the other being Thailand, which operates the system produced by Norinco of China. The G5 155mm medium-range artillery guns are capable of hitting a target up to 39km away. Emphasising that the procurement was not aimed at creating an arms race or to intimidate other countries, Shafie said it was to modernise the army. "Other countries should not be unduly worried as this exercise is part of an ongoing process to establish a credible force with sufficient deterrent power, not for aggression. "We feel that the time has come for us to modernise our force, and this is what we are doing." On his meeting with Hamilton, Shafie said both parties touched on various matters pertaining to bilateral military issues, including joint training and exercises. "I am happy to say that our relations with New Zealand have been good, by virtue of us being a member of the Five-Power Defence Arrangement pact." Besides New Zealand and Malaysia, the other FPDA member countries are Singapore, Australia and the United Kingdom. 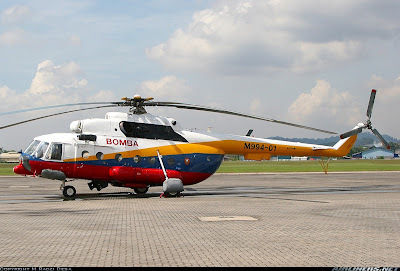 The Malaysian Armed Forces on 6 November confirmed they are to buy Russian Mil Mi-17 'Hip' medium-lift helicopters to replace the Sikorsky S-61N helicopters currently being used by the Royal Malaysian Air Force. 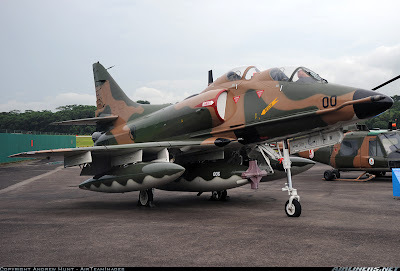 The Republic of Singapore Air Force (RSAF) will be replacing its ageing A-4SU Super Skyhawks as part of its ongoing force modernisation programme. This was announced by the Minister for Education and Second Minister for Defence RADM (NS) Teo Chee Hean, at Tengah Air Base this morning (14 Jul), after a preview of the Black Knights' aerobatic display for the Carnival at the Bay during National Day Parade 2000. The A-4s are of 1950's vintage and have been in the RSAF fleet since 1973. The aircraft went through avionics and engine upgrades in the 1980s. However, it will not be cost-effective to maintain and operate them as they age further. There is a need to progressively replace these ageing aircraft in the RSAF's inventory as they reach the end of their operational lifespan and cannot be upgraded further. MINDEF plans to replace the first batch of A-4SUs with 20 F-16 C/Ds manufactured by Lockheed Martin Aeronautics. These are expected to be delivered in the next 3-4 years. 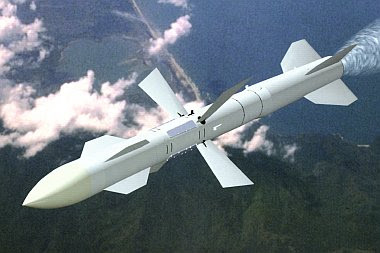 The government of Australia has requested a possible sale of AIM-120 Advanced Medium Range Air-to-Air Missiles (AMRAAM) including AMRAAM air vehicles and AMRAAM air vehicles-instrumented, AMRAAM captive air training missiles, related spare and repair parts, support and test equipment, maintenance and pilot training, logistics program and software support, documentation, technical assistance and other related elements of support. This proposed sale will contribute to the foreign policy and national security of the United States by helping to improve the security of a friendly country which has been and continues to be an important force for political stability and economic progress in the Asia Pacific region. Australia will use these missiles to enhance the air-to-air self-defense capability of their F-18 aircraft and to increase interoperability with U.S. forces. 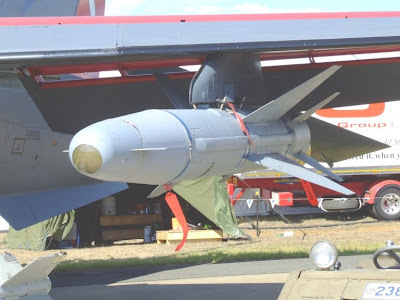 Australia, which already has purchased a small quantity of AMRAAMs with delivery forecasted for 2001 and 2002, will have no difficulty absorbing these additional missiles. The prime contractor will be Raytheon Missile Systems Corp. of Tucson, Ariz. There are no offset agreements proposed in connection with this potential sale. The Lockheed Martin/Rafael joint venture, PGSUS LLC, has been awarded a $ 133.3 million contract modification for production and delivery of up to 250 AGM-142 Have Nap missiles (American designation of the Israeli Popeye), the first batch of which is going to the Royal Australian Air Force. The contract covers the production of AGM-142s for both foreign and US sales. 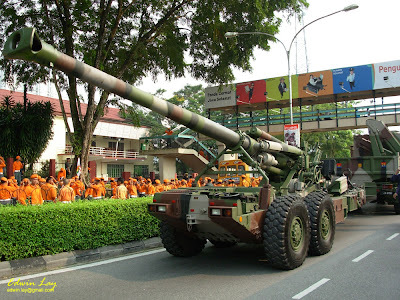 Ordnance Development and Engineering of Singapore (ODE), a company of Chartered Industries of Singapore, developed a 155 mm gun-howitzer with a 39 calibre barrel known as the FH-88. Early in 2000 the company became part of Singapore Technologies Kinetics. There were five prototypes produced over a period of four years beginning in 1983. These were followed by a pre-production batch of six 155 mm FH-88 gun-howitzers that incorporated a number of improvements as a result of trials with the prototype weapons. 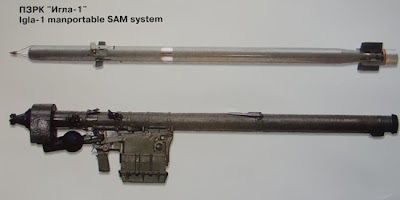 First production FH-88s were completed in 1987, with the weapon becoming operational with the Singapore Army the following year. 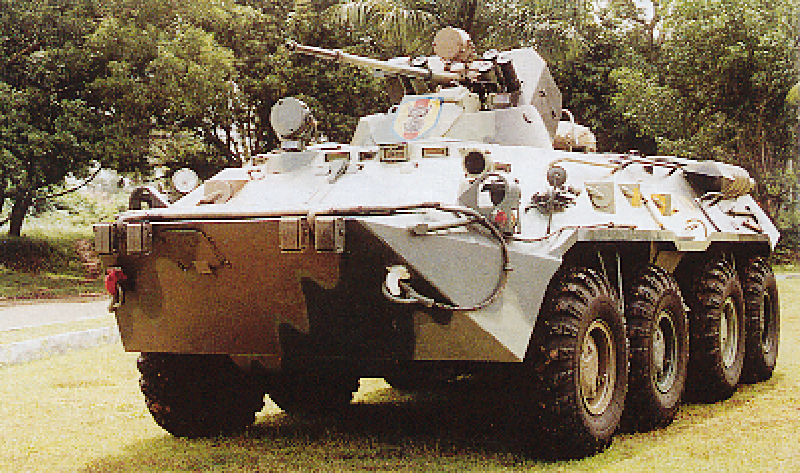 It is believed that a total of 52 systems were built for the Singapore Army. These replaced Israeli older Soltam Systems 155 mm M71S (with the S standing for Singapore, as they have been modified) systems which have been placed in reserve. Indonesia took delivery of five 155 mm FH-88 systems in 1997. It is understood that these were brand new weapons. 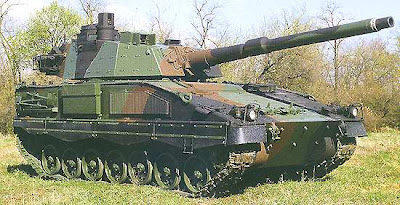 The 155 mm/39 calibre FH-88 has been followed in production by the Singapore Technologies Kinetics 155 mm/52 calibre FH2000 which is covered in a separate entry. The more recent FH-2000 artillery system uses some components of the FH-88 including the sighting system, APU and the complete family of 155 mm ammunition. More recently Singapore Technologies Kinetics has developed the new 155 mm/39 calibre Pegasus Light Weight Howitzer (LWH) which is already in service with the Singapore Armed Forces (SAF). Racal Australia will supply 61 MSTAR ground surveillance radars to the Australian Defence Force (ADF) as part of Project Ninox. The contract, worth more than A$50 million (US$31.8m), is due to be signed early next year. Vision Abell will assemble and test the radars, deliveries of which are due to begin in mid-2001. The ADF will fit 28 of the radars to Australian Light Armoured Vehicles (ASLAVs) operated by armored reconnaissance regiments, with the remainder being allocated to infantry battalions, artillery regiments and regional force surveillance units. The Royal Thai Marine Corps has selected the ASCOD light tank forits requirements and expects to place an order with Austria's Steyr-Daimler-Puch for 15 vehicles plus one command post vehicle and one repair and recovery vehicle. This is the first export orderfor the ASCOD light tank. Other contractors understood to have been competing for this requirement include the US companies Textron Marine & Land System swith the latest Stingray II and United Defense LP with the M8 Armored Gun System, both of which are armed with a 105mm rifled gun. The Royal Thai Army already operates 106 of the earlier Stingray I light tank. After more than a year of discussions and evaluations, the Singapore government chose AH-64D Apache attack helicopters to fulfill the country's development of its modern and balanced armed forces. 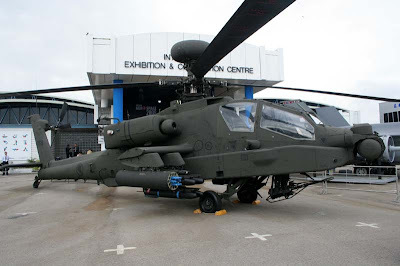 The Apache was selected over several other attack helicopters, according to Dr. Tony Tan, Singapore Deputy Prime Minister and Defense Minister, who made the announcement. With the announcement, Singapore became the 8th nation to select the Apache. The eight Apaches will be flown by the Singapore air force. The aircraft will not include Longbow Fire Control Radars. The brains and brawn of the Apaches are the Target Acquisition System/Pilot Night Vision Sensor (TADS/PNVS) and the Hellfire II missiles, both produced by Lockheed Martin Electronics & Missiles in Orlando, FL. The TADS/PNVS enables Apache pilots to fly at very low altitudes in total darkness and in poor weather, see ground targets, and destroy them at standoff ranges using Hellfire missiles. The Hellfire II missile achieves pinpoint accuracy by homing in on reflected laser energy aimed at the target from the TADS laser designator/rangefinder. The Hellfire II defeats advanced armor in the presence of severe electro-optical countermeasures. When Singapore's orders are placed, total AH-64D orders will increase to 337, including 232 for the U.S. Army, 67 for the United Kingdom and 30 for The Netherlands. Over 1,000 Apaches, both A and D models, have been delivered since program inception. To date, nearly 8,000 Hellfire IIs have been delivered to the U.S. Army and Marine Corps and foreign government customers. The AH-64D Apache is the world's only fourth-generation combat helicopter, featuring fully integrated avionics and weapons and a state-of-the-art modem that transmits real-time, secure digitized battlefield information to a wide range of air and ground forces. It incorporates a series of enhancements that make it more effective in combat, and more survivable, deployable and maintainable in the field. The Apache has been widely deployed on most U.S. military missions, including the 1991 Gulf War. With company headquarters in Orlando, Lockheed Martin Electronics & Missiles is a world leader in electro-optics, smart munitions, anti armor and air defense systems. It is a unit of the Lockheed Martin Electronics sector, a leader in the design, development and manufacture of electronics systems for global defense, civil and commercial markets. The Australian Department of Defence has exercised an option worth $76 million to buy additional Penguin air-to-surface missiles and related equipment for the Kaman SH-2G (A) Super Seasprite helicopters on Anzac-class frigates. A contract for additional missiles was signed in Canberra by Gunnar Tuisk, Director General Helicopter and Guided Weapons, and Vidar Sandengen, vice-president of Kongsberg Defence and Aerospace. The contract for Phase 2 of the project follows the initial contract for $79 million signed with Kongsberg in February last year which provides for transfer of technology to Australian Defence Industries to allow manufacture of Penguin warheads in Australia. Since funds were available for the planned follow-on purchase, the Phase 2 contract was brought forward to take advantage of prices which will ultimately result in savings in terms of unit cost. Delivery of the missiles is expected to be completed by January 2003. "Penguins are currently in service in the United States and Hellenic Navies as well as the Norwegian, Swedish and Turkish Defence Forces", said Tuisk after the signing, "but the missiles we are buying are optimised for countering surface threats that the Anzac ships could face in Australia's maritime approaches." The action to secure phase 2 of the Penguin acquisition quickly will mean a considerable savings to the Commonwealth at the same time contributing to our national security. Australian industry has had successful involvement in the program through development of an Australian insensitive munitions production capability which will provide the missile warhead." The Royal Australian Navy (RAN) has taken on-time delivery of the first of six new coastal mine hunting vessels (MHC), HMAS Huon, following months of extensive acceptance trials. The Huon-class design is based on Intermarine's Gaeta-class MHCs currently in service with the Italian Navy. Huon's hull was constructed at Intermarine's Saranza Shipyard in Italy, and arrived at prime contractor ADI Limited's (Australia) Throsby Basin in Newcastle for fitting out in August 1995. HMAS Huon is equipped with the Thomson Marconi Sonar Ltd. Type 2093 variable depth sonar, designed for simultaneous operation in combinations of search, detection, classification, and route survey modes. The dual-frequency search and classification capability of the Type 2093 enables the sonar to operate under most bottom and sea conditions, at a range claimed to be twice that of a hull mounted sonar and with a threefold increase in detection depth. The RAN's new MHC also has two remotely controlled mine disposal vehicles, equipped with a mine disposal charge, searchlights, closed circuit television, and high-definition sonar. According to ADI, the Huon-class programme is the first instance in which the majority of the detailed design work for a major Australian high-technology maritime project has been carried out in Australia. The detailed design accounts for 80% of the total ship design and entails specifying and formulating installation requirements of all the ship's systems. ADI reports that the other Huon-class MHCs are also on schedule and within budget. The second-of-class, Hawkesbury, has commenced sea trials, and the keel for the final ship is expected to be laid in June 1999. All six Huon-class ships will be based at HMAS Waterhen in Sydney. Vietnam has obtained a quantity of surface-to-surface missiles (SSMs) from North Korea to supplement its inventory of Russian-made SS-1 'Scud B' SSMs, Asian-based intelligence sources have revealed to Jane's Defence Weekly. The new SSMs are described as "modified Scuds", but neither the specific designation nor the quantity is known. The phrasing suggests they may be of the 'Scud C' variant, which North Korea began to develop in 1984. 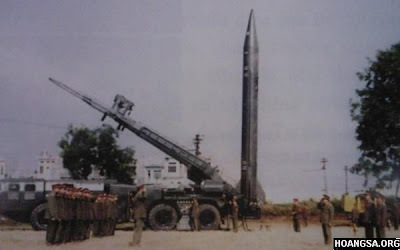 Pyongyang produced 'Scud B' and 'Scud C' SSMs from the late 1980s to early 1990s but production probably ceased when its focus shifted to the more sophisticated Nodong and Taepo Dong ballistic missile programmes. The 'Scud B' has a range of 300km and a payload of 985kg. The 'Scud C' extends this range to 550km and has a reduced payload of 770kg, along with improved guidance. The SSM purchase may have been finalised by Vietnamese vice defence minister Nguyen Thoi Bung, since retired, during his December 1996 visit to Pyongyang. It formed part of a package deal worth an estimated $100 million, probably paid in whole or in part through barter arrangements for commodities such as rice. Other elements of the package included two Sang-o-class submarines (JDW 9 December), a quantity of Igla (probably SA-16 'Gimlet') man portable air-defence systems and, perhaps, other items. The report of North Korea's missile sale to Vietnam coincides with the unsuccessful conclusion of a fourth round of talks between Pyongyang and Washington on missile non-proliferation. The USA is seeking an end to North Korea's development, testing, deployment and export of ballistic missiles. Russia's Northern Project Design Bureau (SPKB) has completed the design work on the KBO 2000 (Project 2100) corvette ordered by Vietnam. SPKB and Vietnam are still finalising the corvette's combat systems, weapons fit and the start date for the ship's construction. The 2,000-tonne corvette is planned to be armed with the Uran (SS-N-25Switchblade) anti-ship and the Klinok (SA-N-9 'Gauntlet') anti-aircraft missile systems, 100mm gun, two 30mm guns and torpedo launchers. It will also feature a helicopter landing platform. Designer General of the SPKB, Vladimir Yukhnin, said that co-operative work on KBO 2000 marks a new stage in the Russian-Vietnamese co-operation in military ship building, which has proved its effectiveness in the BPS 500 patrol boat programme. The patrol boats are under production at the Hoshimin shipyard in Vietnam, with technical support from SPKB. The first BPS 500 is undergoing sea trials. The 530-tonne BPS 500 boats are armed with a 76mm gun, a 30mm close-in weapons system, Uran anti-ship missiles, Igla (SA N-10'Gimlet') air defence missiles and two 12.7mm heavy machine guns. The Vietnamese Navy has in service seven frigates, seven landing ships, about 100 missile, torpedo and patrol boats, mainly of Soviet design. The Australian government has finalised a A$100 million ($62.1million) contract with Matra BAe Dynamics for the supply of Advanced Short Range Air-to-Air Missiles (ASRAAMs) for the Royal Australian Air Force's F/A-18 aircraft which are being upgraded. 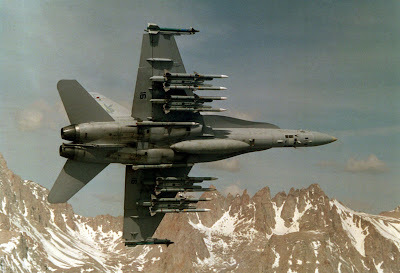 ASRAAM will enter service in 2001 along with the AIM-120, and replace existing AIM-9M Sidewinder missiles.